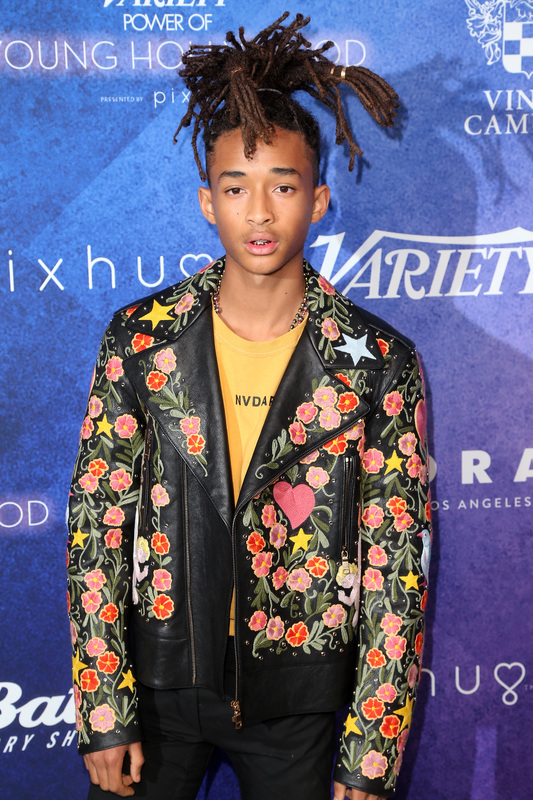 While people sometimes joke that Jaden Smith's tweets are out-of-this-world, the actor actually cares a lot about saving this particular planet. At Variety's Power of Young Hollywood event on Tuesday, Smith shared his beliefs in protecting the Earth and how exactly he plans to do that. According to USA Today, the 18-year-old's goal is to create a water bottle from renewable resources. He said on-stage, "The way that I like to give back to the world is through the environment." Despite starring in films like The Get Down and The Karate Kid, this may be his most meaningful role yet: saving the planet. "The plastic, that's the issue. I want to create a bottle of water that is made from renewable resources, that is not made from plastic, that you don't need fracking, that you don't need petroleum, that you don't need to go to war for this bottle of water." Summing up the goal succinctly, Smith said, "I want to make a water bottle that's for the people, that's for the environment, that's for the human race." Isn't that a dream worth getting behind? Given the fact that he's not only from a famous family but successful in his own right, I'd like to think he not only has the financial resources to accomplish this sort of change. Plus, as a celebrity he has a major platform to speak out and hopefully open people's minds. You can watch his speech below. His passion as he speaks is what makes the goal all the more believable. Aren't you feeling inspired? I, for one, can't wait to watch Smith's journey to save the planet unfold.